Walter was born in 1893 in Prestwich. 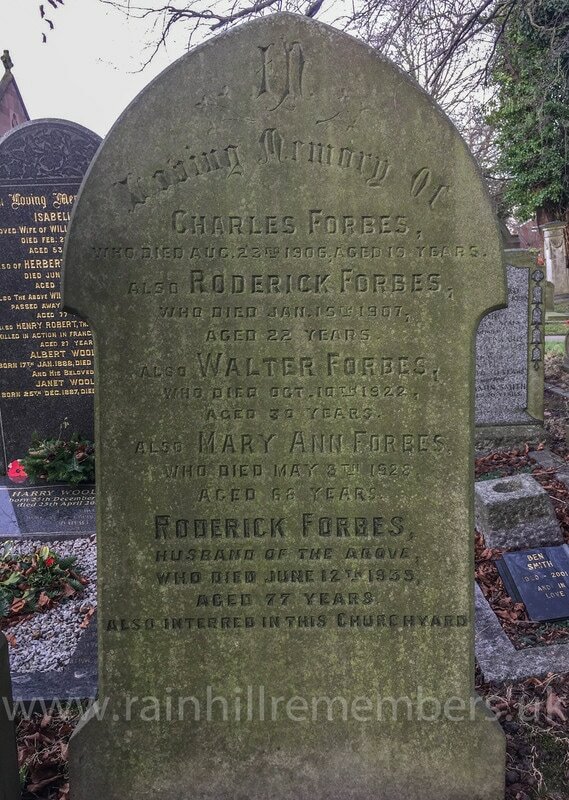 By 1901 he was living with his parents, Roderick (43) and Mary (41) together with his brothers Roderick (16), Charles (14), Walter (8) and sisters Mary (12), and Edith (5) at 3, Mill Lane, Rainhill. Walter's father was a gardener. According to the 1911 Census Walter was working as a Market Gardener and was living at "Brackenwood" in Bebbington, Cheshire. He appears to be "in service", though it is not clear who he worked for. His parents still lived at The Stoops, Rainhill where Roderick was a market gardener. Walter enlisted in February/March 1915. His number indicates that he joined the 19th Battalion of the Liverpool Pals. They were housed in the old watch works in Prescot and trained in Lord Derby's Estate. In November 1915, he left for France and was demobilised early in 1919. To date, we know that he received the Star Victory and British War Medal, but we know that they were never claimed. This maybe because his family had moved to Fern Villa, Ansdell Villas Road, Rainhill. 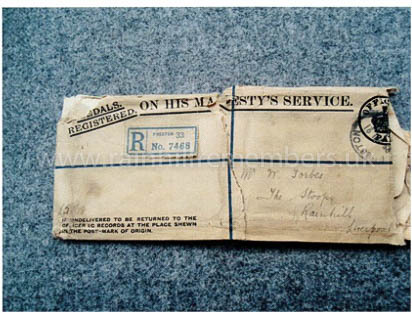 The envelope that contained the medals belonging to Private Forbes had never been opened and was addressed to his father at The Stoops, Rainhill. ​Walter appears to have died aged 30 at Elswick Sanitorium, (an isolation hospital for people with TB) Fleetwood on 14th October 1922 and is buried along with his mother, father and two brothers in plot 539 in St Ann's Churchyard, Rainhill.